Bed wetting is a common problem amongst younger children, but it can be a difficult phase for both parents and children. With the right steps, however, this phase can be easily managed in a way that causes as small of an impact to kids and parents as possible. When your child has a wet night it’s ideal to be able to manage the accident with as little fuss as possible so that your child can return to bed as quickly as he/she can and with the least disruption to sleep and state of mind. If you’re prepared with a fresh set of sheets and fresh pajamas you can swiftly have the bed and your child dry and ready again for sleep. There are a few items which will make dealing with wet nights much easier. Firstly, try having a night light in your child’s room and/or in the bathroom so that it’s easy and safe for your child to find the way to the toilet at night. 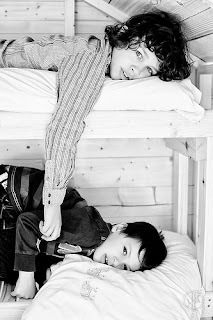 Some kids’ bunk beds may be a deterrent to getting out of bed in the night, so if your child sleeps in the top bunk make sure the design of the bed facilitates night-time toilet trips as best as possible. You can also try absorbent pants for night time. These are especially beneficial if your child isn’t sleeping at home. You might also want to invest in a waterproof under-sheet to protect the mattress, making it much easier to clean up and return your child to bed as quickly as possible. Try limiting your child’s intake of fluid before bed time. You should try to develop a habit of not drinking too much fluid just before bed, but never refuse water if your child is thirsty, of course. If your child wants milk, juice or cordial before bed, refuse and offer only water – sometimes he/she may simply be craving a sweet drink rather than actually being thirsty, and you want to limit fluid intake before bed to only what is needed, rather than what is desired. Take your child to the toilet just before it’s time for lights out, to empty the bladder before bed. Wetting the bed can cause some emotional turmoil for children and affect their self esteem, especially as they get older. It’s important to talk to your child about bed wetting and make sure that you explain that it’s normal, that you understand, and that you know it’s not his/her fault. When an accident does happen, don’t make a big fuss and certainly don’t punish your child, he/she should never be scalded for bed wetting as it is out of his/her control. You can also offer praise for dry nights, which helps boost self esteem. In most cases, time is the best cure for bed wetting and most kids grow out of this stage by the time they’re 5 years old. If your child is over five and continues to wet the bed in spite of taking the above steps, you may wish to consult your pediatrician. A pediatrician may suggest the use of a bed wetting alarm system or might run tests to determine if there is a physiological issue or an infection. He/she may also suggest counseling to deal with the emotional ramifications of bed wetting if the problem persists to a point that affects your child’s emotional wellbeing. By taking these steps, the bed wetting phase should become much easier to deal with. Just remember that it’s something your child will grow out of eventually, but in the mean time all you need to do is offer your love and support until dry nights come easy. Amanda is a full time mother from Sydney, Australia. She recently was confronted with the common problem of her youngest son wetting the bed and did some research into the subject. She felt compelled to share her advice with other mothers out there and compiled this list.